Bay Cottage Playpark reopened : photo. A site search facility is on the Heysham History page. Central figures are Rev & Mrs John Royds. Wardens, extreme left, were James Mashiter schoolmaster (independent school) and John Mashiter, not related as far as we know. Heysham makes a great day out for families and it is just 10 minutes drive from Morecambe. and now easily reached from the M6 To help you plan your visit, we have listed things to see and do, and places to eat in Heysham. We have also prepared travel directions, and other web sites that you may find useful, including Heysham tide times,, Heysham weather forecast, and places to eat and drink. Heysham village is only about a mile from Heysham Harbour where the Isle of Man Steam Packet Company runs daily ferry services to the Isle of Man. Ferry passengers with time to spare can find plenty of interest in this historic village. To the left is an Impression of St Peter’s Church, in 1863, before whitewash was removed. Possibly Rev. John Royds thought it would lock in moisture and cause deterioration of the structure. 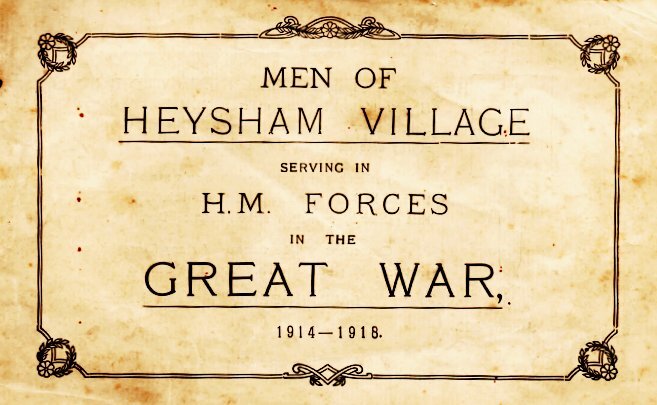 Every village has its characters; read about two of Heysham’s. Our Heysham timeline shows notable dates (with links to other pages) in Heysham’s history. 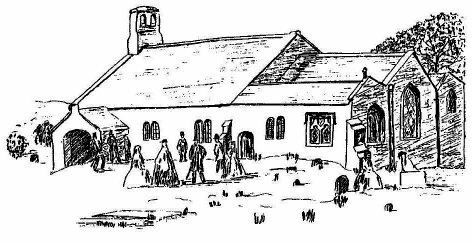 TheﾠHeysham History pageﾠis also a site guide with appropriate links to numerous other pages..Updated January 2019 including a search site facility. The ‘Home’ link (top right of all pages) will return you to this page..
TheﾠHistoric Society of Lancashire and Cheshireﾠwas founded in Liverpool in 1848. It is one of the oldest historical or archaeological societies in the country in continuous existence. The first volume of Transactions including some of the first session’s lectures, was published in 1849 . Among these was the record of a visit to Heysham by John Robson in 1851. Other links to the Society’s transactions appear on the Old Hall and Historians pages. 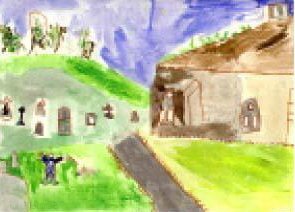 Heysham Heritage has published historical books, pamphlets and cards. Earlier publications on Heysham are detailed on the historians page. Our photographic image collection show pictures of the Heysham area 1900 and earlier.Recently added is a series of group images..
See a larger version of the tithe map and further information about tithes. 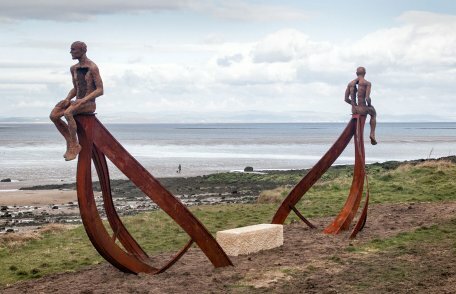 The Morecambe Bay Partnership website has recently announced this sculp[ture in Half Moon Bay. This is a quote from that site. From the earliest Roman and Viking settlers, to travellers boarding Irish Sea ferries in the present day, Heysham, Lancashire has long been a strategic point of arrival, departure and human settlement. Half Moon Bay, in sight of Heysham Port, has been confirmed as the location for a new sculpture, Ship by renowned artist, Anna Gillespie. Providing new focus on Morecambe Bay‘s landscape and maritime heritage, the artwork reflects the importance of seaborne trade in bringing news, innovation and shaping the character of the area. Heysham Heritage Centre is on Main Street in Lower Heysham (Heysham Village). The Heritage Centre building was formerly the barn for the adjoining cottage and they are a prime example of a 17th. century Lancashire long house. The Centre & Cottage have re-opened, following a restoration project in 2010/2011. The long house is owned by Heritage Trust for the North West (registered charity no. 508300) and run for the benefit of visitors by volunteers of Heysham Heritage Association (HHA). HHA is an independent organisation that cares for Heysham, and membership of HHA is open to all. The archive is now being catalogued and is housed in an upper room at the Heritage Centre. Currently it has several new displays prepared specially for the Open Days, including bereavement cards, old postcards of Heysham, information about current research. 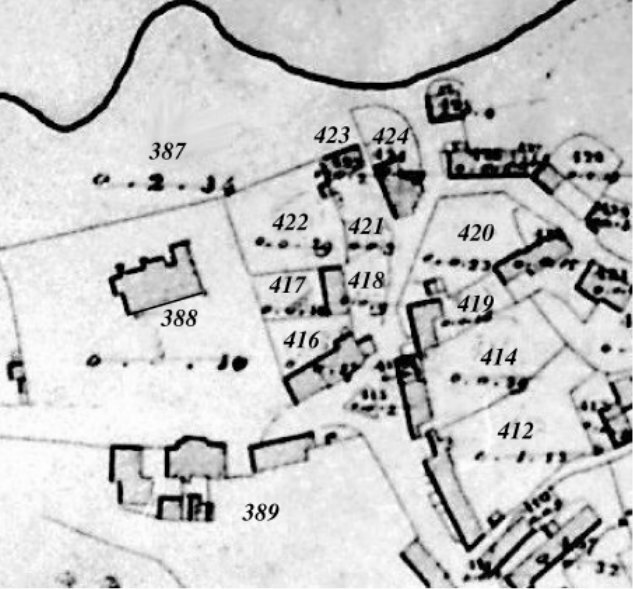 In 1838 a tithe map showing Heysham Parish at that date with a ‘schedule’ of owners and occupiers of property and the amount of tithe due. A small section of that map showing Heysham village (Low Heysham) is reproduced here. St Peter’s Church is left centre and Greese Cottage slightly right of centre towards the top.. This is an invaluable source of information about places people and buildings in early 19th century Heysham. See a larger version of the tithe map and furher information about tithes. We’ve put together some activities for younger visitors. Did you know that Vikings came to Heysham over 1,000 years ago? Can you solve our Runes puzzle? Read what it was like to be a child in Heysham over 60 years ago, and hear about the bear at Heysham Head. All this and more on the Kids’ page. 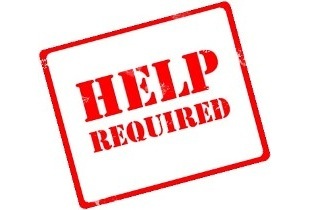 Email us a question or send us your comments - we’d love to hear from you!